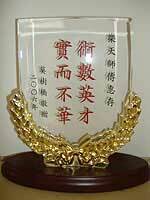 The followings are Feng Shui Testimonials from Clients over the years. These Feng Shui Testimonials not only came from Clients in Melbourne which had consulted, but also testimonials from interstates and overseas, such as UK, USA, Hong Kong, New Zealand. Some Testimonials were from my Feng Shui and Chinese Astrology workshops. All these Testimonials are real. Edgar’s Feng Shui course has changed my view towards Feng Shui forever and lift my Feng Shui business to another level. I am so very honoured to have the chance to learn from a true Master, who is humble, a man with few words but each of them are true wisdom. If you ever want to do a Feng Shui course, this is it! This is the kind of Feng Shui we need to learn and educate to the mass, because it is changing people’s lives on a very grounded and practical level. Most importantly, it produces accurate results in a very short period time. 10 out of 10. Thank you for your help with the plans for our new house! Attached is the first round concept from the architects for your feedback. We are able to make changes where necessary. Let me know if you require any further information and also how long you will need to review these so I can let the team know. p.s. not sure if you remember helping us with our house in Kew? We were trying for a baby for many years. We have one due next month now..yay!!! Hope this email finds you well. It has been since August 2016 since your first visit and January 2017 since your last visit. No more house robbery thank goodness, and further good news is that we had a baby girl in December. We were not fortunate enough to conceive naturally despite resetting the bed but true to your predictions for the year of the rooster, we did IVF and was successful. Thought I would share with you the good news. Thanks also for sending through your payment details – apologies for the delay, I will arrange a bank transfer to you this week. good chance due to the timing. up soon, which is very exciting. Thank you so much for your excellent advice! Edgar’s Chinese Astrology reading was excellent. The reading really supports a more fulfilling life with less stress as it flags up how to avoid the obstacles in all areas of life where possible! Edgar is so generous with his knowledge and very understanding as a person so that you feel you can raise any subject with him. I also liked the fact that he concentrated in a positive way on the future, identifying positive trends, but also gave me an understanding and explanation of less supportive cycles/influences in the past and how these would have impacted, some of which can be avoided in the future with this new knowledge gained from him about living with the influences and characteristics of one’s own chart. Edgar’s reading had real depth and focus that enabled me to come away with a clearer idea about where to put my energies for optimum results. In a world of so many choices, it’s sometimes difficult to decide how to balance the options but this reading clearly defined where the better results would likely lie. Edgar’s amazing accuracy in the reading supported my confidence in these choices. Furthermore, Edgar helped me to understand and, therefore, make best use of luck cycles and I came away with a new positivity, not wanting to waste time when my luck would be on the increase. Thank you for your help with the sale of our house. We were very happy with the sale price. So, thanks again. We are going to settle on our house this Friday. You analyzed my apartment and the changes you suggested were good. Now I am choosing between two apartments in the same building and I need to know if they are OK. Thank you so much for today…. You are so skilled! And Oh my goodness I’m so glad change is around the corner! I wanted to let you know the reading we had was very enlightening. It was like a light bulb lit in my subconscious as lot of things started to make sense. It created pathway to unlearn many false imprints I had learnt. Assuring that I was born in the Yin hour was a puzzle being solved as I could not agree to my previous chart with a Mao birth hour. Just learning not to oppose my chart and honoring my useful Gods will open new Avenue and hope. I would like to have another reading with you soon as I could not give my 100% last time due to the situation I was in. I will call you in few weeks and organize comprehensive reading. In the mean while thank you for your wisdom. I reside in Perth, Western Australia and bought a house in January 2014 and it is giving me a lot of problems so much so I have not move in yet. I should have read your fengshui tips before buying it. My house facing is the facing you said to avoid. It is now leaking and I have to put in grilles and security systems as it has just recently being broken into…… April 2014.Thank-you. The tips were good reading, as I have just bought a house! and am in the process of renovating. so far I have not made any mistakes!! So, I start tomorrow at xxxxxxx Architects in the CBD – such a prominent & stylish office! I’m so excited! I also “launched” my new Feng Shui website a week ago, and my new web person was gracious enough to launch it on the “success” day and at the luckiest time!! thanks so much for your help and I look forward to doing other workshops soon. I wanted to write and express my sincere thanks in helping me to improve the Feng Shui in my home over the past 5 months. It has made an incredible difference to our lives in a short time, and your expertise and effectiveness has been nothing short of astonishing. Prior to contacting you, my family and I had endured years of very bad fortune in almost every aspect of our lives, and nothing seemed to be going right for us. When we contacted you, you responded rapidly and provided us with effective yet practical strategies for improving the Feng Shui in our home which we implemented immediately. You also gave us predictions with key dates when our fortune would begin to change, and every one of them has been realised. Thanks to your help and expertise, my family and I feel that our lives are back on a stable footing, and we are very grateful for everything you have done for us. This is Sofia from Manila, Philippines. I just wanted to let you know that ever since you did the Feng Shui of my house, its been able to mitigate some crisis events. A few weeks after you told me to install the fountain, pendulum clock and the lucky bamboo, I unfortunately lost my job as manager to a band. But it wasnt as bad as I feared. We parted ways quite well. They and their new manager told me that they want me to continue handling the booking of events for them. And they will honor whatever events I had lined up for them in the following months. I was surprised as well as a little suspicious. I lost my income as manager, but I get a commission for each event I book. That was in late July and since then I have been able to earn a little from the events I had booked. Its not much but at least I am not completely without income. You said that by September onwards things would be better and you were right. My health is better, and I am exploring possibilities to join a friend in a new business. People have even been kinder to me. I am looking forward to my birthday in December as you said that things will be smoother for me after that. This has probably been one of my worst years in so many areas of my life. I think what saved me from a very bad situation was your feng shui recommendations. Thank you for your times to help us to do the house audit, we have not changed anything yet but however we got a good feeling after your advise. I keep your contact in a safe place for future need. I hope you are well and doing good to help people. found you and your services online. I would like to thank you for the time and effort you have given in your consultation at my house in Sunbury. I have made the changes in my house as you advised me and on a quick note the court case was in my favour on Monday th13 (as you thought), hope the next good news for me would be the sale of the land. Looking really forward to receive your email with my chart and the feng shui reading. I hope this email finds you well. I imagine you are well prepared for new year tomorrow. I have been cleaning for two days to prepare. I have an update for you. Do you remember when you came to see us and i asked you about my job prospects ?, well I followed everything you said and two weeks later my boss took me to lunch and offered me the Executive Officer Position within the Company. Very unexpected and before the 8th of December which is the date you said it would be roughly around. Needless to say, I accepted, there was no monetary increase but an increase in my holidays from 4 weeks to 5 weeks per year so i am very happy the be in good stable employment. “Master Edgar is very professional in his Chinese Astrology and teaching. Edgar is A wealth of Knowledge and a very patient teacher! C. DiBella – Feng Shui Consultant. “Excellent contents, Well instruct program, Easy to follow” D. Tam – Business Owner. the students and expalins the material carefully. fast for me but with questions time it became clearer. F. Gleeson – Feng Shui Consultant. and provided some great guidelines for analysing four pillar charts. “I found this to be very stimulating and well paced. Edgar is very patient & committed. The discussions are wonderful & the analysis detailed. Thanks for seeing my cousin, for such a young person, she’s so spiritual and eager to know her future path. She’s seen a few fortune tellers before but I think Chinese Astrology has a bit more science then going by the fortune tellers hunch. Thanks again, have a merry christmas and a happy new year to you and your family. Happy new year to you all, and goodluck & good health always. I wanted to touch base with you. This is Sanjay, from Lysterfield, Vic. I am currently in Canada…..have been here since May last yr.
And just like you said in Jan. 2009, I was moving quite a lot for the rest of the year. I was wondering if we can get a reading from you for the both of us. We now have our 2nd child as well – born in Nov. and are looking for an insight as to what may lie ahead and what should we be doing for the best of our family. Just want to convey my utmost appreciation for your guidance and advice from my life reading in particular in regards to marital problems. I have found you not only to be honest but caring enough to provide me with sensible solutions to my problem. I agreed with your “Ren Ming” (fate recognition) interpretation where you explained the true meaning lies where it is not all about knowing and accepting our fate but more so to understand and learn to manage or rectify our path through our actions and mindsets. After you detailed consultation, I felt my sense of direction is clearer. Many thanks for your patience and your time spent in answering all my questions. 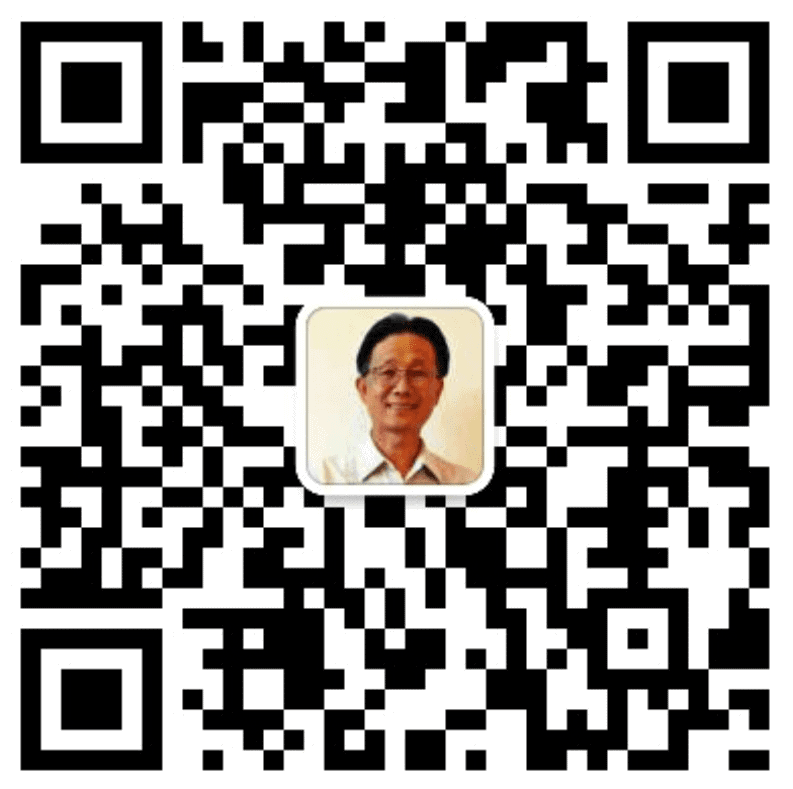 I will certainly recommend your service my relatives and friends. Thank you, thank you, thank you for all the advice given by you at our recent home consultation. Whilst we had a little knowledge about Feng Shui you have “tweeked and fine tuned” our house and the results were noticeable within a week. All the best, and we will keep you up to date. We would like to thank you very much for all your kind help and advises. It has definitely helped and improved our family greatly with respect to business and career advancements, educational achievements, family harmony and relationships. The readings and recommendations were very insightful and surprisingly quite accurate. We have used them as guides and motivations in planning our individual futures and will definitely seek your consultation and help again for more advises. We will certainly recommend you (for both 4 Pillars and Feng Shui) to our extended family and friend, and hope they, like us, will also speard the good word on your work. Thank you once again for everything. I am writing to say a huge thank you for my recent Chinese astrology reading I have done with you via email. It was concise and to the point and I received clear answers to my many questions! I feel so much better now and more confident in being able to move ahead with my life in the direction of my dreams. I would thoroughly recommend you to anyone wishing to explore the ancient realms of Chinese astrology and I hope others receive the same benefits also. very pleased with it all and Mary Anne loves it. We would like to thank you for your fantastic 4 pillar reading that you recently did for our family. It has certainly helped a lot with our direction. You also gave us a feng shui consultation on our family home. As Nick & I both work from home it was very important for us to have business operating smoothly and profitably as well as having harmony in the house. You gave us advice on some changes you thought we needed to make and seriously after we put them in place we soon started to notice the difference. Nick is a share trader on a monthly basis and I run the property side of our portfolio. I have a couple of short term holiday accommodation places and have several long term residential investments. Since having you come to our home we have been booked solid for the Noosa property and Coastal properties until next year. I have even had 2 of the long term investment leases renewed without even having to advertise. The share market being bearish also was a rough ride and you have supported us through a certain trade with much valued advice. I will have no hesitation now in having you do further readings on our building plans and investment properties. Your expertise in fengshui and Eastern astrology is a very valuable tool for any business or family. K. Fraser & N. Bailey. “Thanks so much for that reading Edgar. I believe that what I’ve learned will help me make better decisions and that’s what’s its all about I guess. Have a fun and safe Christmas”. I have implemented what Edgar (Lok Tin) taught me. They are very simple things. I enacted them in no time at all and by the following weekend I could already see my business improving. It has been five weeks now and, generally speaking, my business continues to improve – especially last weekend; the takings were unbelievable. I have made Edgar a plaque (pictured) in his honour”. Well, you are the king of prediction. With your help, I have had a baby boy on 18/12/2007. Born at 9:16am. Thought he has a bad tempter and cries a lot but still WE love him. As what you said (but I didn’t believe), I have a PIGGY boy. Thank you so much again. We now live in Ivanhoe and are happily married.